Trailer Tech carries a full line of parts for over the counter sales. We carry parts for Roller Bed Systems (Pneumatic Roller Track Systems) and also lift gate parts. 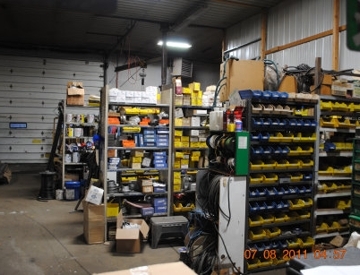 Our knowledgeable staff would be glad to assist you with parts for your trailer. Euclid, Truck-Lite, Grote, PM, Fleet Engineers, Power Brace, Nose Cone, Cargotrol, OMC, New Life, Wabash, Aurora, Haldex, Meritor, Etc.